Welcome on the homepage of the European Project CREATING. With the aim of strengthening the position of inland shipping by optimising both integration in the logistical chain and performance in terms of environment, safety and profitability a total of 26 partners from 9 European countries have joined forces. Starting July 2004 the consortium will work on this project for the next three years. 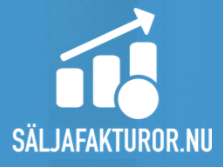 Browsing this website you will find general information on the project and its results, related news messages and links to relevant organisations and sites. Several projects have resulted in concrete policies, measures and the use of new innovations. They are actually used or will be used. Moreover some of the outcomes of this report can and will be used for new research.